If you want understated elegance, this necklace featuring Barbara Becker Simon’s fabulous hollow bead is perfect for you. 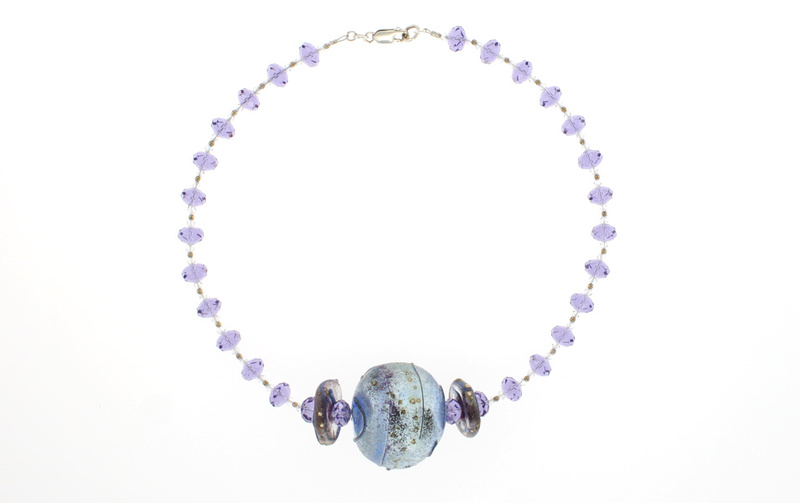 The magical colors in her work are enhanced by Swarovski tanzanite crystal rondelles, sterling silver beads and lobster clasp. Fits at the neckline.